Click on pictures to enlarge.Text in italic is extracted from the Exhibition Guide 2008. By Neil Cooper, Wimborne, Dorset. 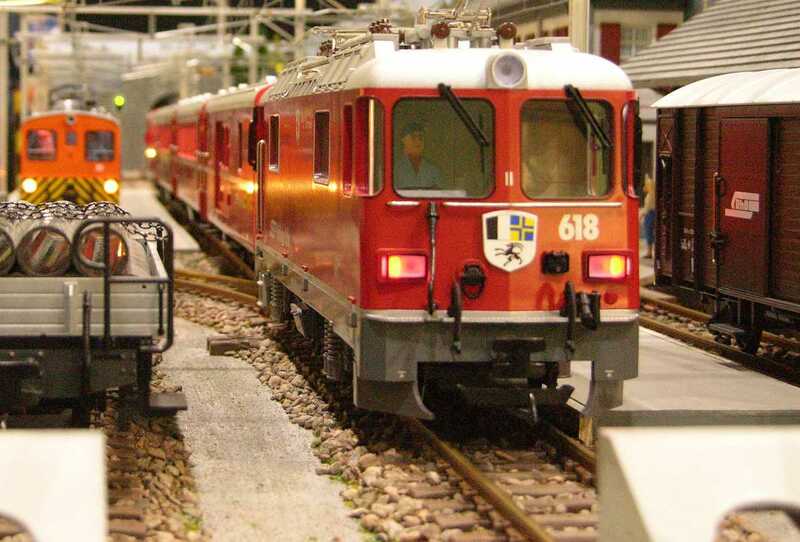 "Klein-Arosa is a fictional station loosely based on the terminus at Arosa which is on the metre gauge Rhätische Bahn (RhB) running in the mountains of Eastern Switzerland. 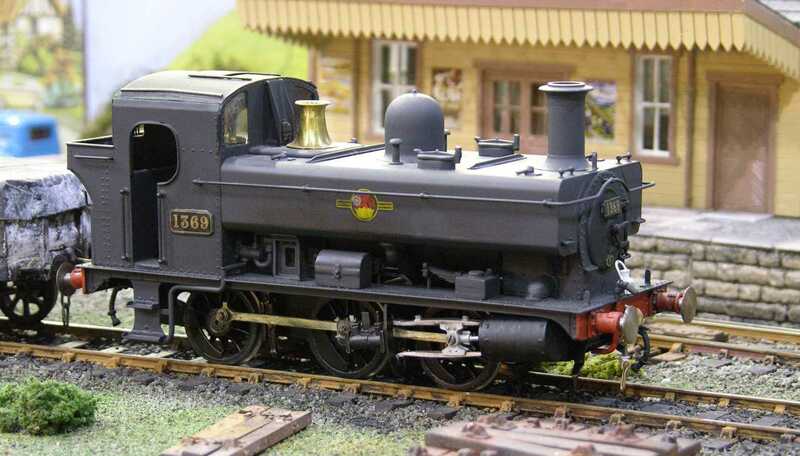 It is modelled in G to a scale of 1:22.5 running on 45mm track. The track layout and buildings have been simplified to keep the model relatively compact. 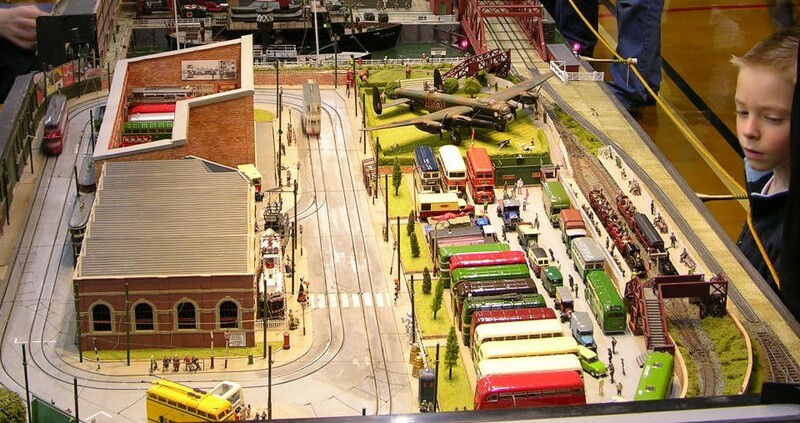 The layout depicts present day and features push pull trains which are typical of the region." By Chris Payne, Ramsbury, Wiltshire.
" 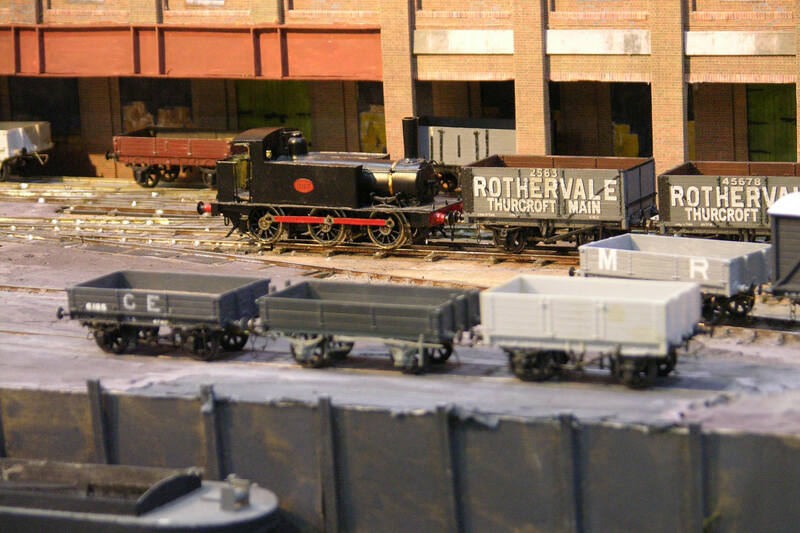 Following the success of my previous 1:25 scale layout on 16.5mm track ("Sutton Wharf" seen here at Eastleigh in 2003), I have now addressed the theme of a minimum gauge mineral railroad somewhere in the south-west of the USA as it would have appeared around the year 1930. 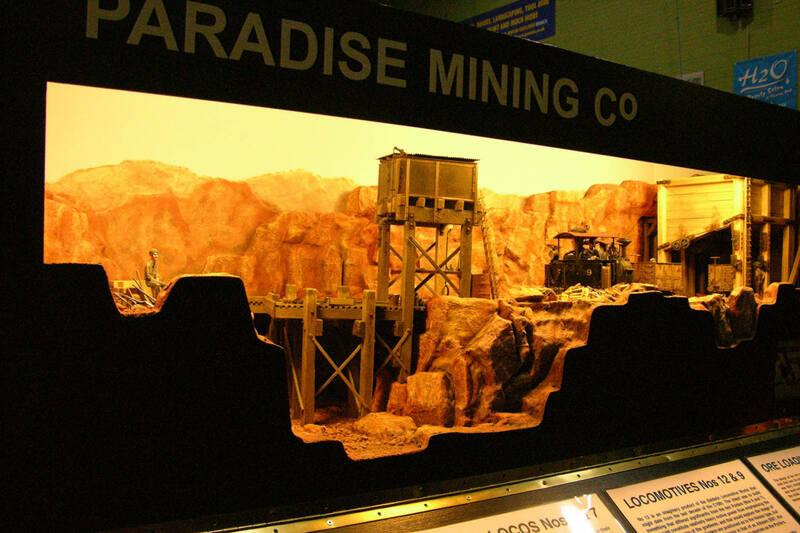 The resulting imaginary 18" gauge line is very loosely inspired ("justified") by the 20" (so called "baby gauge") Coronado copper mining railroad that once existed in Arizona. The layout is another exercise in large scale minimum gauge modelling In a small space. The stressed ply monocoque baseboard deliberately provides the opportunity for scenic and structure (bridge and trestle) modelling below as well as above the level of the railroad. Track is Peco and Fleischmann (the 10" radius curve on the bridge deck). 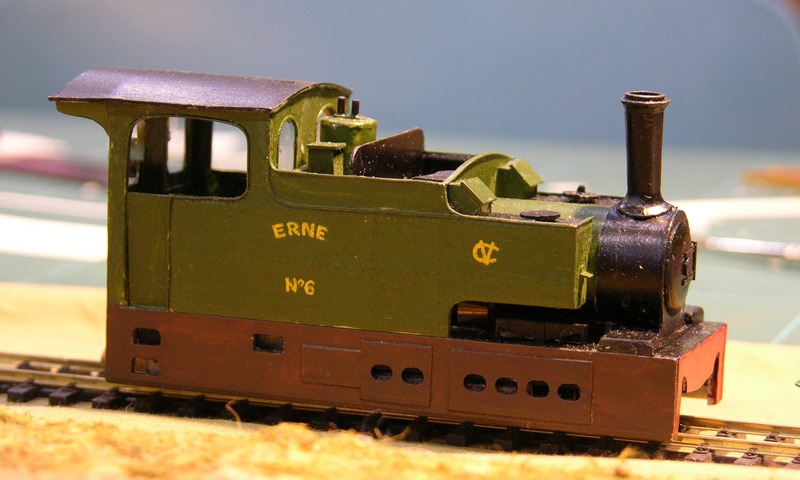 The two Porter locos (No 6 is the "signature locomotive" for the project), the vertical boilered loco, and stock are scratch built in styrene and timber on Hornby chassis. 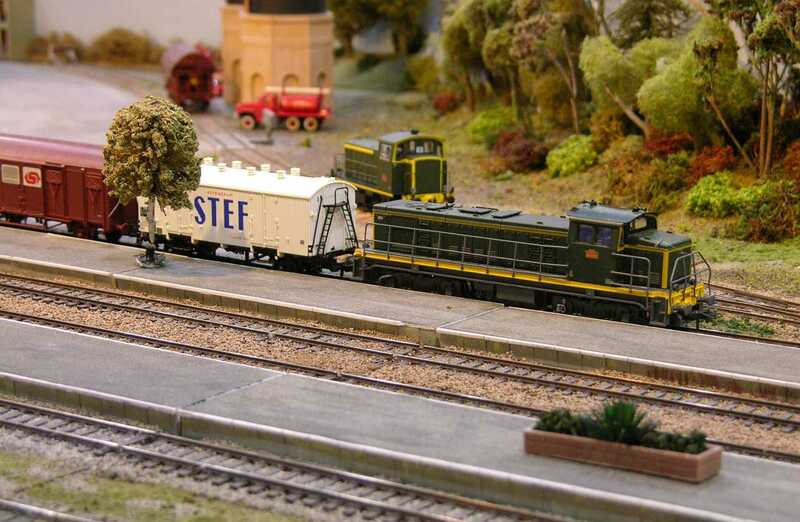 The articulated steam loco has an Athearn chassis. Extensive use has been made of distressed balsawood for themodelling of structures. The intent is to portray the activity at a reversing point in a mountainous setting, and in so doing it is hoped that the use of two locomotives for switching manoeuvres will be seen as appropriate rather than contrived. Within the scene is an ore loading bin, and another is imagined to behigherup the line.Gradients arepresumed to be severe and therefore all trains are short (a maximum of three bogie cars) with the locomotive at the rear facing uphill in order to keep the firebox crown coveredwithwater. It being believed that good design is essential for all aspects of an exhibition layout particular attention has been paid to the function and ergonomics of the fiddle yard. 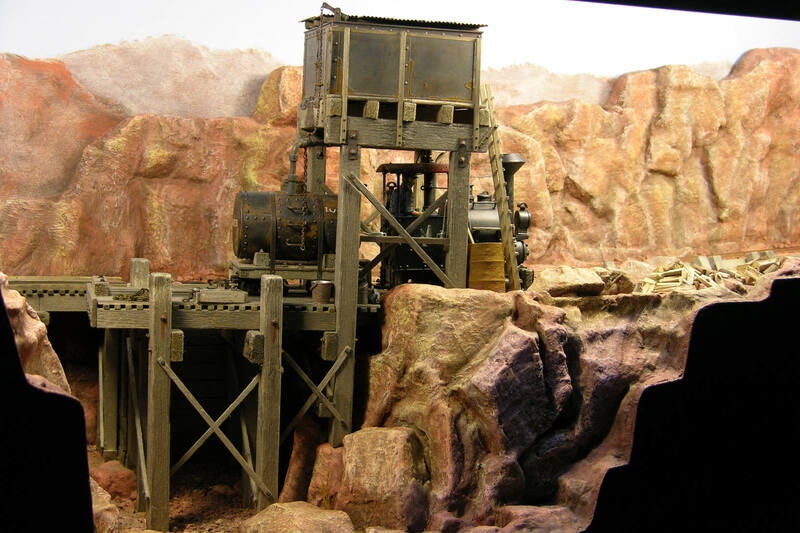 This is on two levels, includes a traverser in the lower yard, and incorporates an ore car tippler so that operation is asmuch as possible "hands off". Published articles (to date): (i) Porter 0-4-OSTno 6,ContinentalModeller,August 2005, pp. 487- 491, (ii) Freelance ore cars, Continental Modeller, August 2007, pp. 516-518." " Westcliff is a ‘might have been’ whose location is based on the Dorset seaside town of West Bay, Bridport’s harbour, as it might have evolved by the 1920s. When the railway arrived 1848 there was the expectation that the town would grow into a seaside resort in the same way as Bournemouth or Weymouth had done. In our version of events not only did the town become a successful resort but the harbour continued to flourish with the export of coal (from Somerset and South Wales), shingle (from nearby Chesil Beach), rope and netting (manufactured locally) and the importation of timber from Scandinavia. Some light shipbuilding was also carried out. The existing station was moved to make way for developments in the town and a larger station built in a new location under the ‘west cliff’ to cater for a now intensive service of main line holiday expresses and local passenger trains. Goods trains bring supplies into the town and service the harbour via a short branch line. 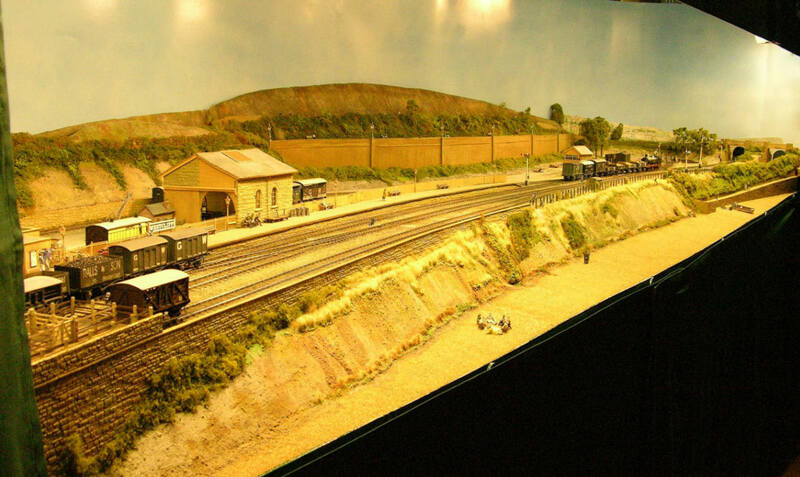 Extensive carriage sidings and loco facilities are located off the main "
" The layout represents scenes and structures found along the Devon and Somerset railways route from Norton Fitzwarren junction to Barnstaple Victoria road. 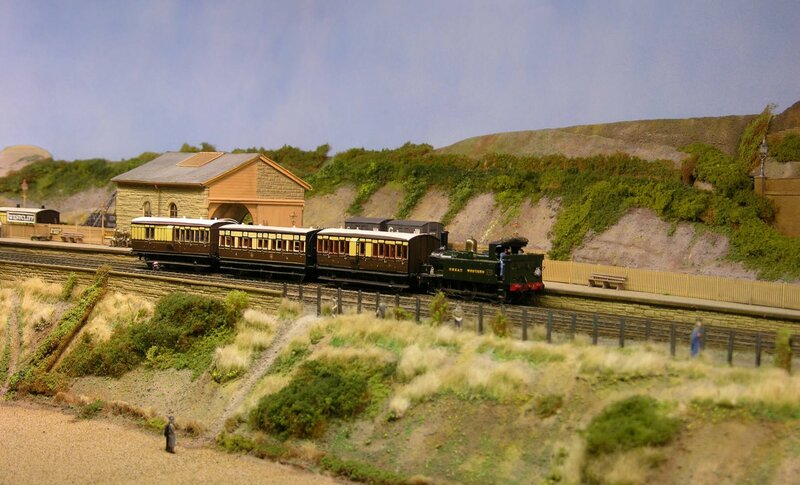 It was a single line route with station including passing loop, kickback siding, goods yard with head Shunt, Littleton is a freelance layout based on BR (Southern Electric) practice, set on the south coast of England near Littlehampton. The track plan is based on the "Minories" plan devised by Cyril Freezer some fifty years ago. The main station boards were originally built by Brian Thomas in London and the layout has been extended with carriage sidings fronting the fiddle yard. The track is Peco with H & M point motors, pointwork in the station area is built with Peco point parts. 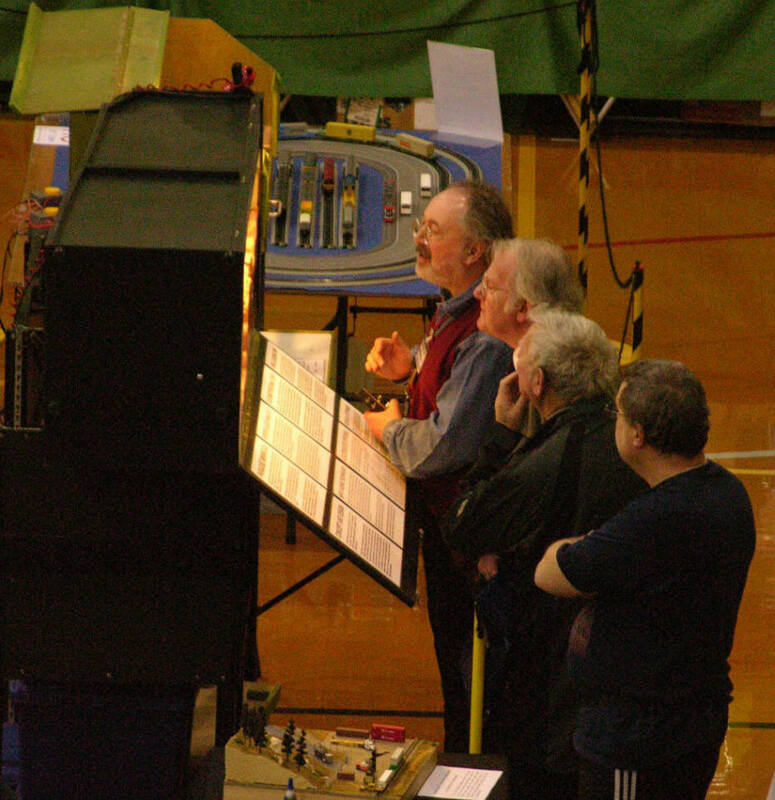 Semaphore signals are operated by model aircraft servos and colour light signals are from the Roger Murray range. 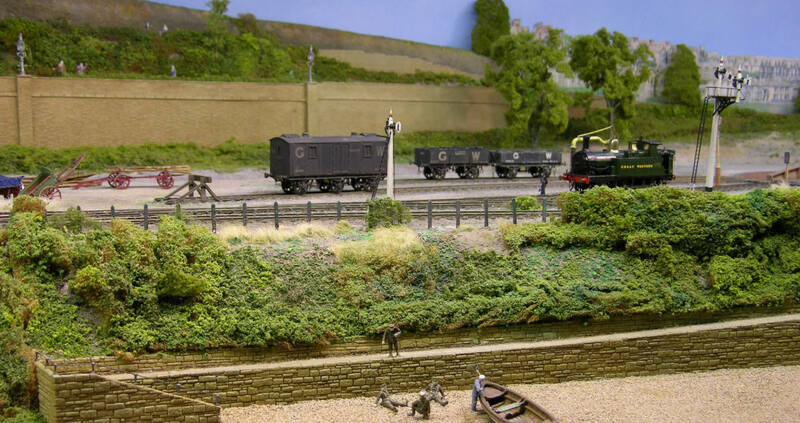 The layout is worked by steam, diesel and electric "
By Derek Gillkerson, Hedge End, Southampton.
" Having discovered that the original STANTON LEES baseboard had collapsed I decided to rebuild the layout completeley, using new materials, track plan, Peco code 75 track & live frog points. Most infrastructure is new, the remainder “Recycled“ from the previous layout. This small layout 96“x12“ (8’x1’) (244cmx31cm). 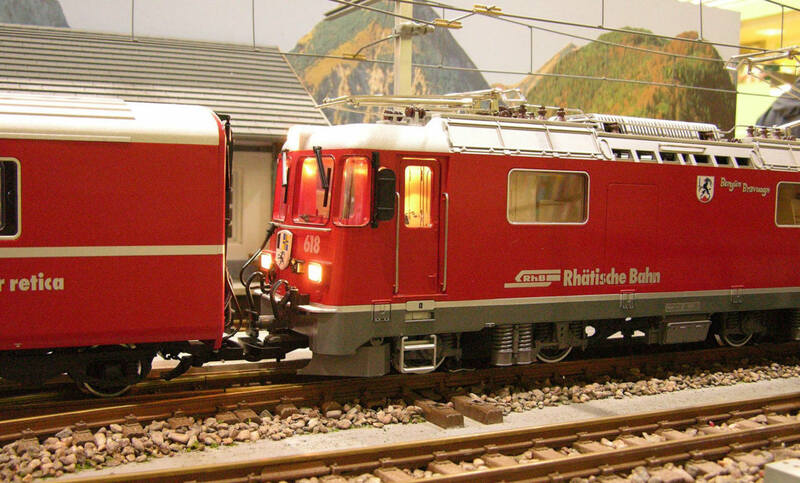 was built to operate Class 121,142,153, Diesel Multiple Units, also on the layout can be seen “Track Refurbishment Units“, Class 37, 47, 66, Diesel Locomotives, and “VGA Vans“. Most of the units have had the couplings converted to “Kadee“ makes that area look more realistic and easier to couple two units together. The warehouse complex and loading/unloading dock is by Modern Structures in Miniature. One of the EDDIE STOBART lorries is a scratch built version and is NOT repeatable. The scale is 1/72 as near as can be managed to 1/76. (Complete with flashing lights)! Also on the layout is a 1/76 EDDIE STOBART Fan Club Members Limited Edition VOLVO lorry. Layout does not resemble any location, just a compact layout to show how much can be put into a small space, yes, you do not need a double bedroom, full size loft,or a double garage. (Dream on)! Name of STANTON LEES (The original layout) was an inspiration from my Wife, so as to keep the memory of this very small village which is way up in the Peak District of Derbyshire (Where we have spent many a Holiday) it was decided to name the replacement layout “NEW“ STANTON LEES. My thanks to Ron Boreham and David O’Meara for their help and advice in building this layout, and to George Gibbins for the layout drawing "
" 1960's British industrial. " (Left) By Brian Wilkinson, Warminster, Wiltshire.
" This is my first attempt at building a P4 layout so it has been a sharp learning curve. It all started out with a visit to Chris Challis model shop, when I said to Chris that I was thinking of building a new layout and he said to me why not try a P4 layout . So with some guidance from him and numerous other people and books by messers Rice and Norman and articles in MRJ and others. It has arrived at a finished but not complete state. All track and points are ply and rivet construction hand built by myself as are the locomotives and rolling stock all from kits as I had nothing suitable. Most of the buildings are scratchbuilt as there are no kits available. Point operation is by rod and bell crank and the wiring follows the logic principle as described by Trevor Lloyd-Lee in his book. As mentioned earlier it is complete but not finished as I am still looking for more information on the subject so if any one has any information or photographs "
By Robin Brogden, Heysham, Morcambe. " 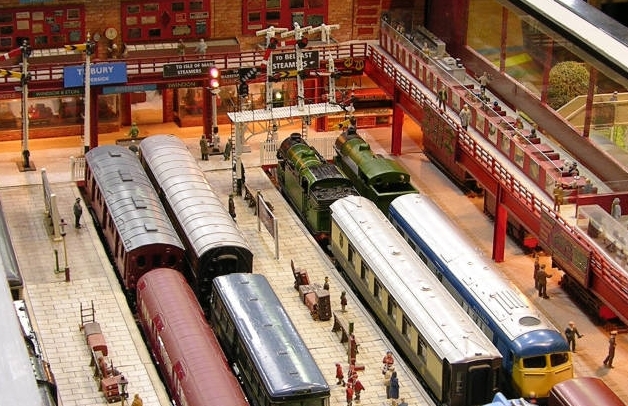 This 4mm layout consists of a fictitious Museum of Transport situated in the former dockland of a town, somewhere in England. 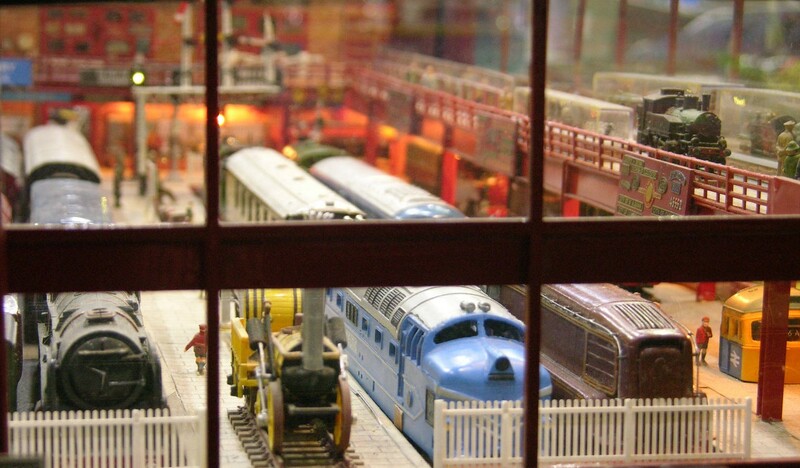 Railway exhibits are housed in a purpose-built Railway Gallery where may be found Locomotives, Carriages, Signals, Models and other railway artefacts. The building is glass-fronted with the roof removed for maximum visibility. 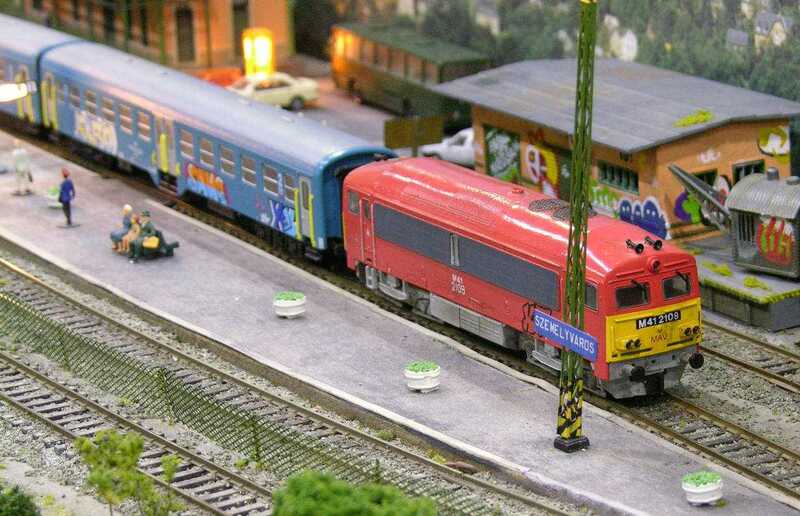 4mm electric tramcars operate on a double track around part of the layout that also includes the Road Gallery housing Motor Vehicles and the Tramway Depot. 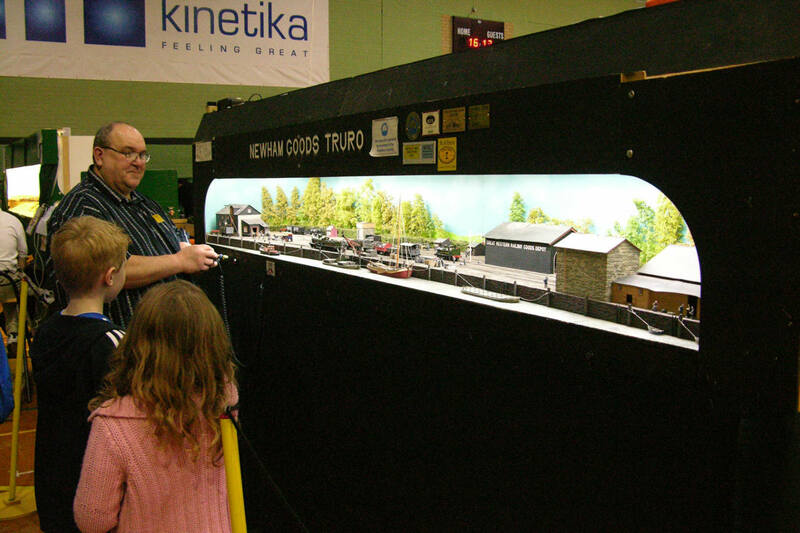 A Miniature Railway (based on N-gauge) operates around this area and beyond. A standard gauge tank locomotive operates Brake-Van rides to and from the Engine Sheds along the dockside line, crossing over the two branch docks by a “Bascule” Bridge and then a Swing Bridge. In the first dock is moored a freelance Edwardian passenger steamer St Olaf and a retired coastal Lightship, based on the Spurn Light. The layout has recently been extended and partly rebuilt to provide space for many new features. A second deep-water dock is available for future maritime exhibits. A canal basin is included in this area with a working canal boat. A new ‘green’ area has been added for the enlarged bandstand, displays of visiting vintage vehicles and new in 2005 is a hot-air balloon. Two new locomotive sheds provide additional display and operational areas for the standard gauge exhibits and visiting locos. The “Dry Dock” is the home for a model of the Isles of Scilly Steamship Company’s former passenger vessel RMS Scillonian. 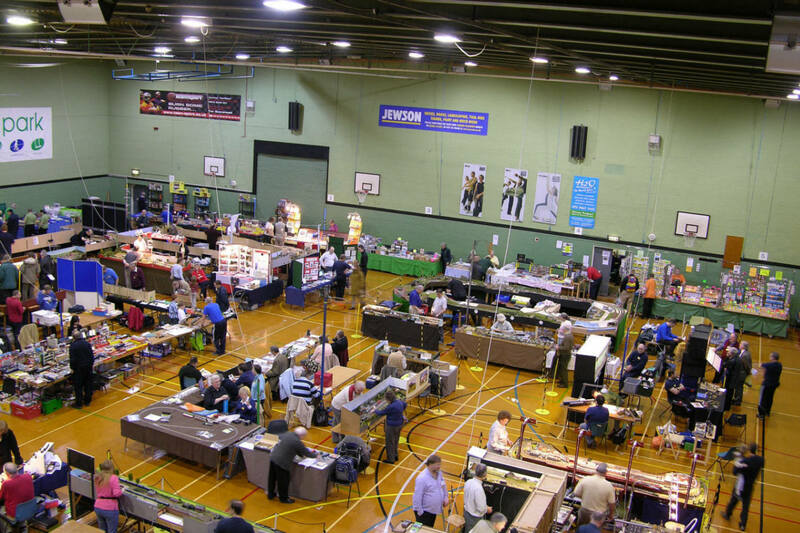 The front part of the layout offers an area available for varied displays; Bus Rallies, Military Vehicle Displays, Car Rallies, etc, as well as home for a scale model RAF Lancaster Bomber for the aircraft enthusiasts. The station for the Miniature Railway is located here. A visiting Brass Band plays a selection of melodies throughout the exhibitions. THE concept was born from a desire to create a layout where virtually all types of model may be displayed together with a single theme. 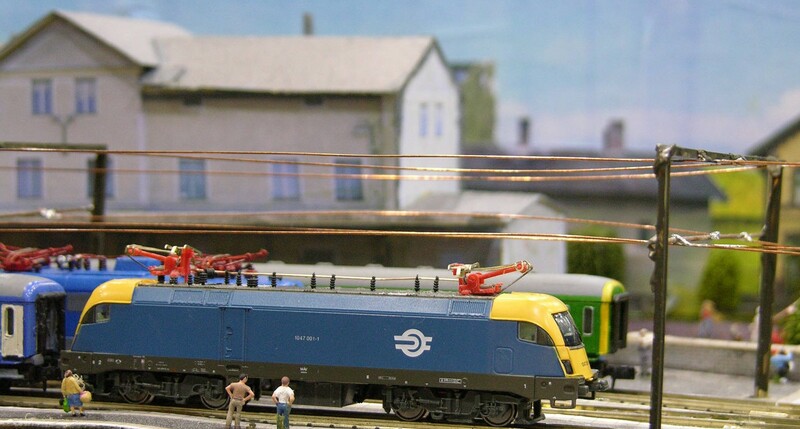 There are standard gauge and miniature railways, buses, trams, trolley buses, cars and commercial vehicles, as well as aircraft and maritime displays. 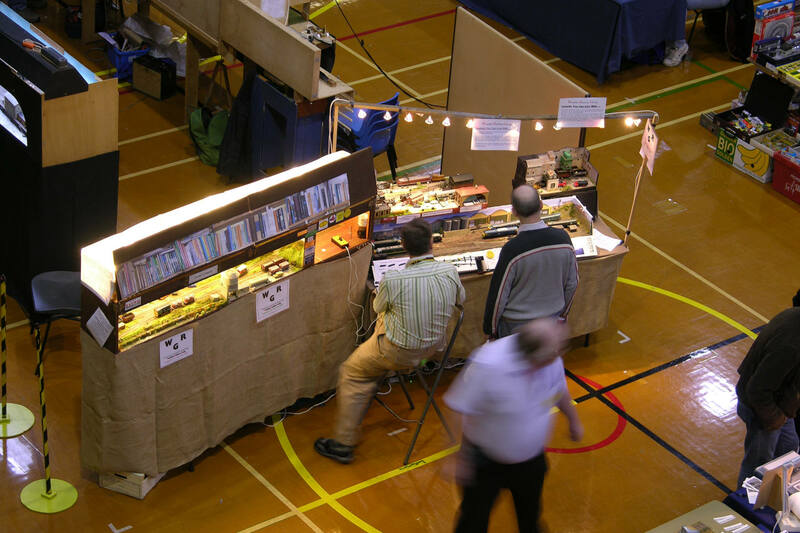 The layout is full of varied examples of industrial archaeology and items to appeal to everyone, whether a model-maker or simply those fascinated by old transport and related topics. 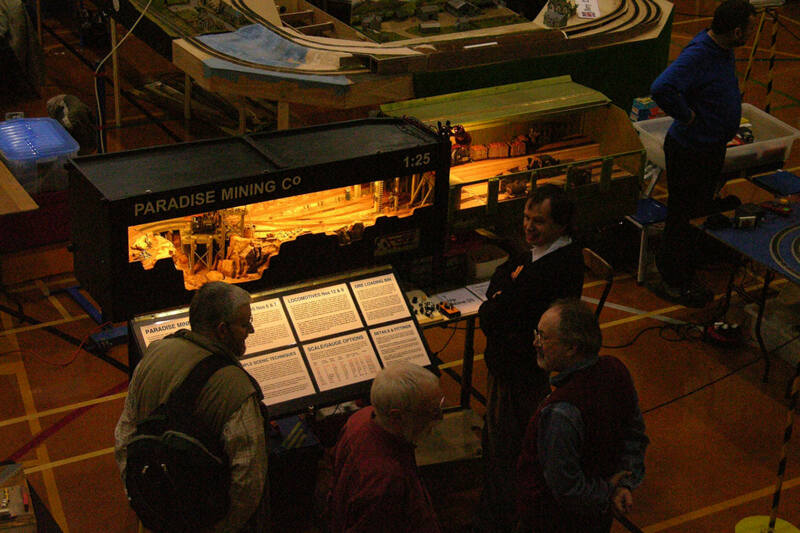 The operators are happy to answer questions about the construction, content and operation of the layout. The layout features a number of animals and unusual items that children (of all ages) may like to look out for. 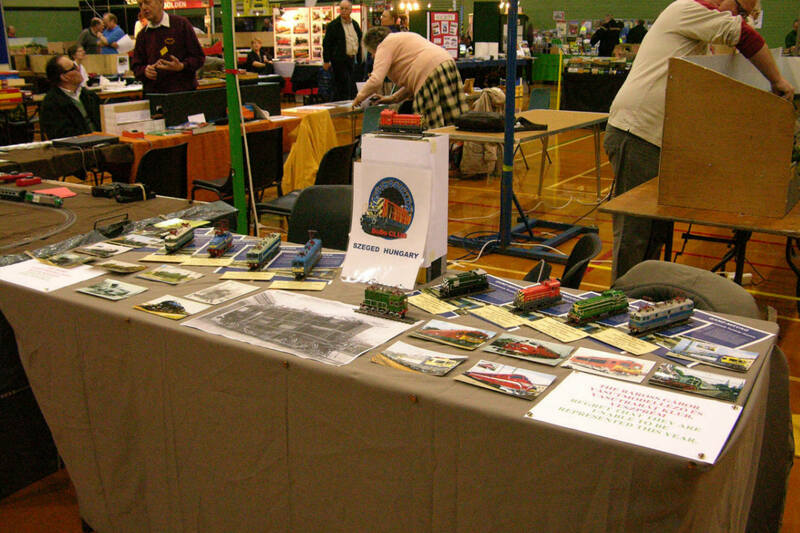 The layout is constantly changing with new buildings and features being added as time allows, and is available for exhibitions throughout the British Isles. " 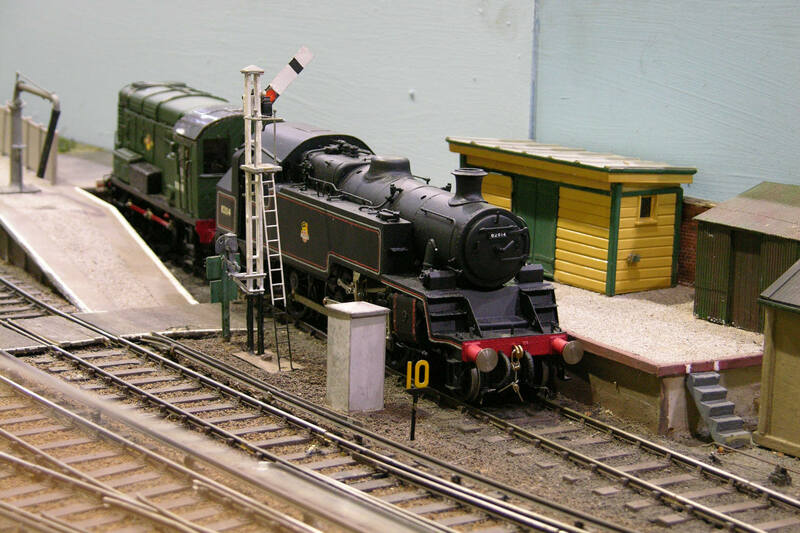 By Mike Hyde " The layout is set around the 1990s featuring diesels, and also can feature visiting locos from Croatia, Czechoslovakia or Russia [yes I knowits a different gauge, but asmost British modelers run on 00 trackmeasuring 4ft 2 inches across, this is technicallymore accurate !!] "
By Andrew Knights, Steyning, West Sussex. " 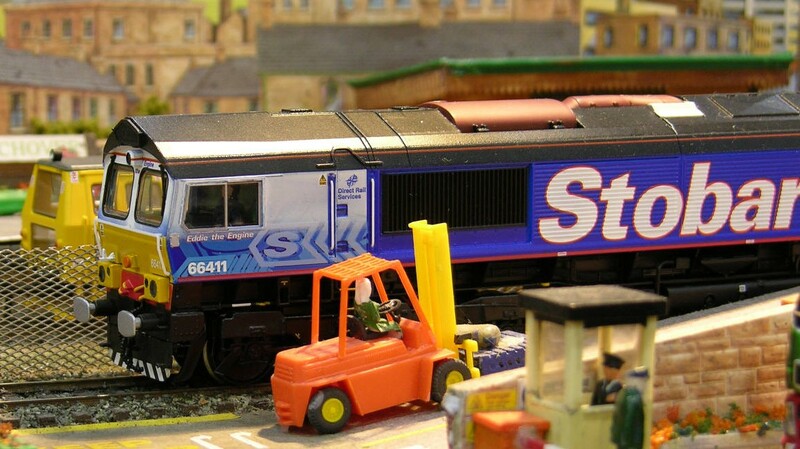 Iceni Cement marks the return of this modeller to 4mm scale OO gauge after a break of several years. The inspiration came several years earlier from an article in the Model Railway Journal Compendium issue titled “Bucolic Silos.” The silo is drawn closely from the one in this article. The location, for the model, exists. It is a short distance from Portman Road in Ipswich. Though this never had a railway, it did have a cement depot and is next to the Alderman Canal. A short lived line ended some six hundred yards short. Operation is simple. Full in and empty out. The cement depot receives bulk loads and bags. These are transhipped to road vehicles for onward distribution. There is a small coal depot on the same site. This provides a variety of traffic and due to the layout of the plan operation. 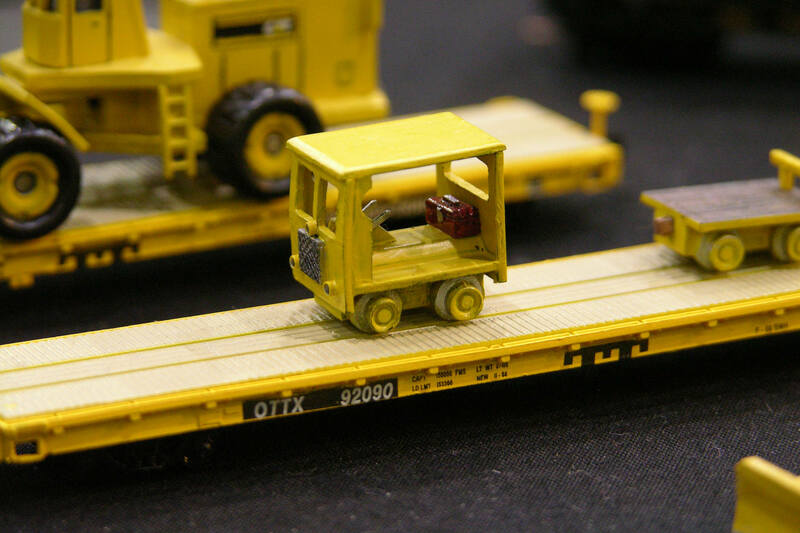 A dice is used to simply determine the traffic on and off the layout. Rolling stock is kit built and the motive power is provided by Bachmann in the form of a locally numbered 08 diesel shunter. 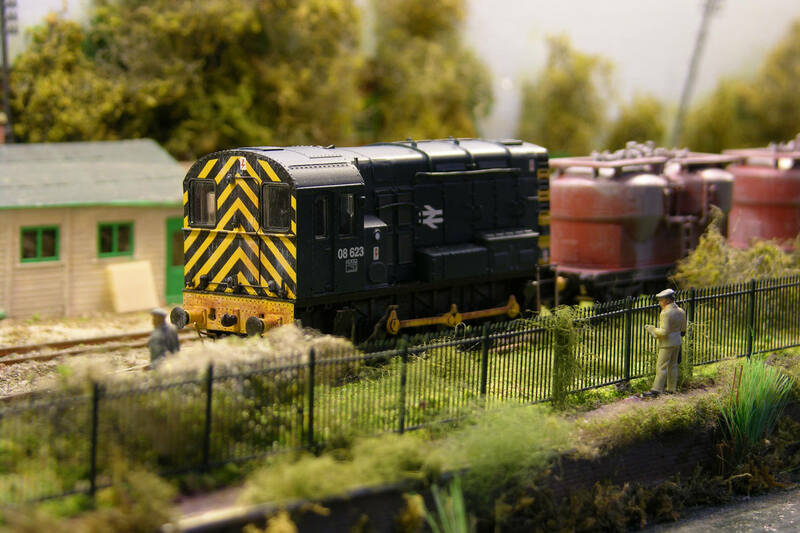 The layout was built to show what can be achieved in a very limited space, whilst maintaining operating interest. 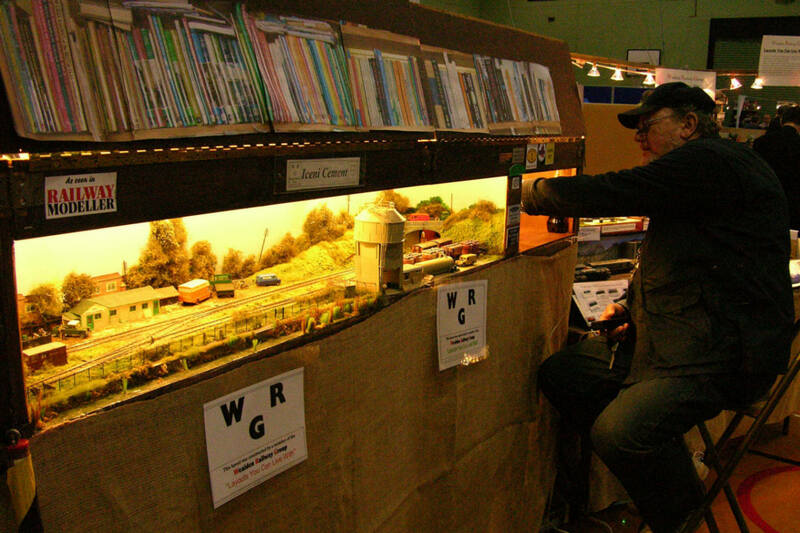 The layout folds to make transport and storage as easy as possible, as such it fully demonstrates the WRG motto: “Layouts You Can Live With!” Featured in February 2008 Railway Modeller. " By Bobomodell Club Szeged, Hungary.
" Since 1993 András Domonkos has been attending our EUROTRACK exhibitions. Each year he has crossed Europe over 1750 km (about 1150 miles) by train. 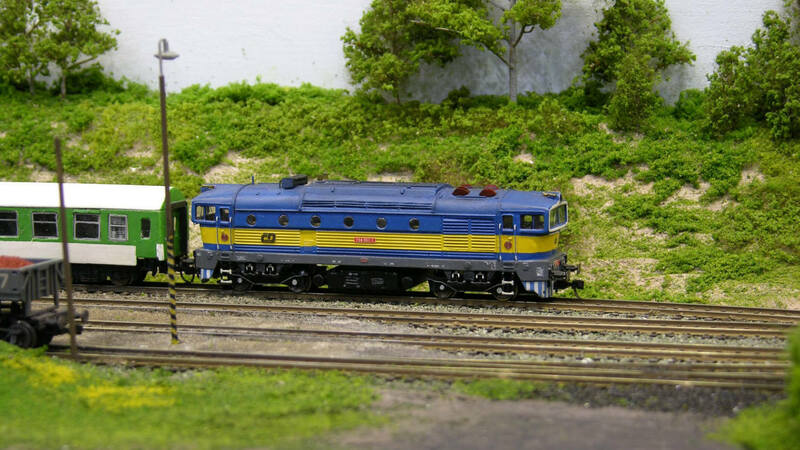 This year András shall display some of his scratchbuilt locomotives. (On the right, diesel locomotive M44 n°522 of the MAV). " " The layout was constructed to make transport easier and safer than a previous, similar, layout. The length was extended to five feet, the width was extended to eleven inches. The size increase allows no increase in complexity, the operation of the earlier model was successful and proven. It did allow SMP Finescale track to be used rather than the earlier's universal track system. The operation still revolves around swapping locomotives around in a set of sidings theoretically adjacent to King's Cross Station London. A card system is employed to allocate locomotives to a "spot". 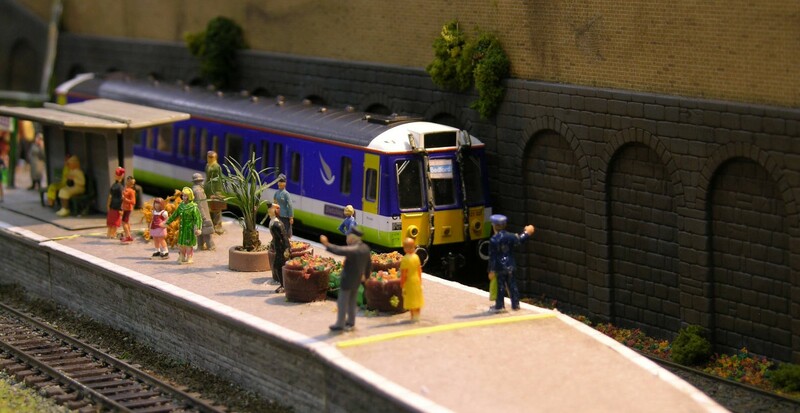 The model was inspired by the old King's Cross stabling point. Public operation is encouraged. 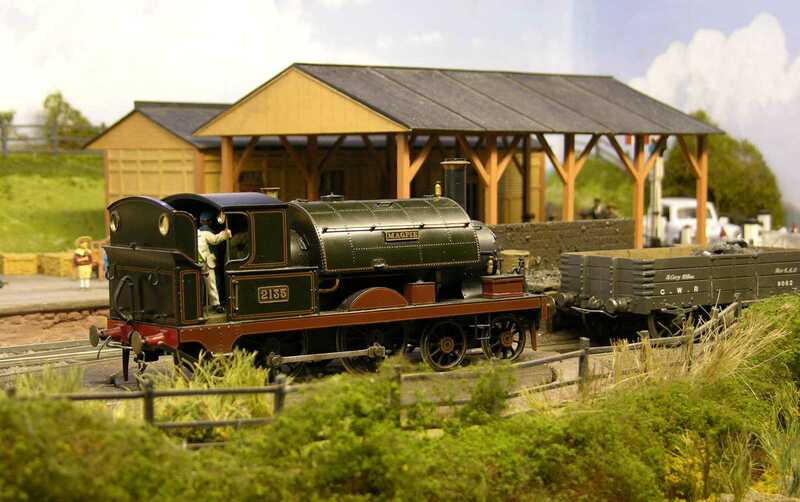 This model is used as part of a stand based around the theme of "No Room/Time For A Model Railway?" "
" Ashbridge West represents a fictitious single track branch terminus on the Southern Region of British Railways during the 1950's/60's. 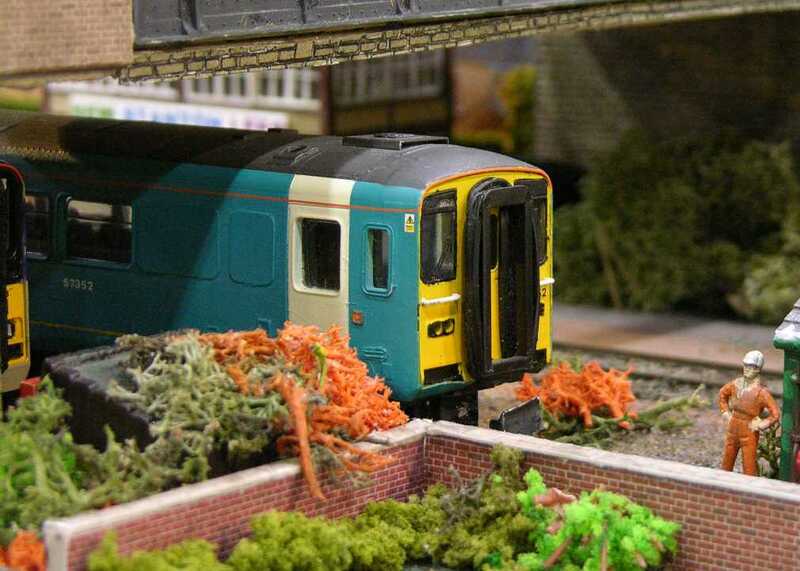 The layout depicts an urban environment and many of the buildings, including the terraced houses behind the station, have been scratchbuilt. Kadee couplerswith strategically placedmagnets are used to facilitate automatic uncoupling ofRolling stock. " 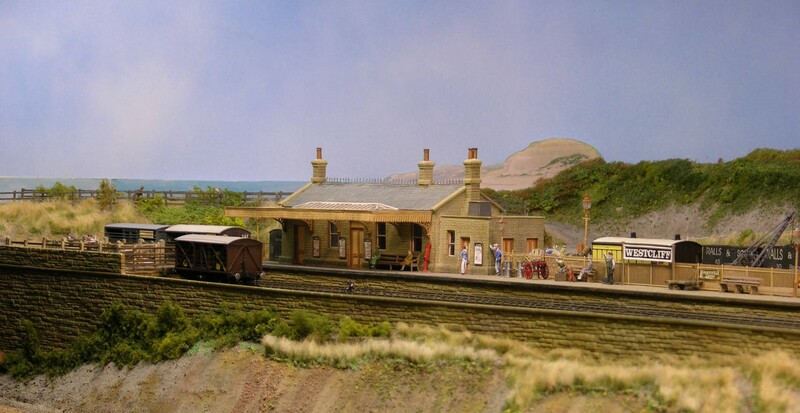 " Teign house sidings (pronounced "teen") is a small broad gauge terminus in 7mm scale, built to Scaleseven standards. The Teign valley railway was authorised in 1863 as a broad gauge line from the Moretonhampstead & south Devon railway to Chudleigh and Doddiscombleigh. This scheme was abandoned and a further 8 acts of parliament were obtained before the line was finally opened in 1882. The line was standard gauge to Ashton, with a freight-only extension to a siding at Teign house (a pub), near Christow. Eventually it was finished through to Exeter in 1903. From 1882 to 1892 it was a completely isolated standard gauge line, meeting the broad gauge Moretonhampstead branch at Heathfield. " " The Kappaboard layout started life twenty years ago as an experimental flat baseboard that was shamefully mistreated over a number of years. Leaking roofs and roasting lofts all did their worst but the baseboard stayed flat. It was at this point that I put some scenery on it, added a Ratio® station building, fencing and signal box and began to exhibit it seriously. The layout uses no wood and weighs in at a useful 6 kilos and that includes the lighting. The layout has appeared in Modelling Railways Illustrated, June 1996 and Railway Modeller, January 2000. " " Solden is a small town in the Austrian Alps, about 50km south west of Innsbruck. In reality the nearest railway station, Otztal, is 30km away on the main Alberg route between Innsbruck and Bregenz. However, the layout portrays an imaginary narrow gauge line, running along the Otz valley from C tztal to Oetz (the "location" of my previous layout) where the line spilt. A branch ran along the Sellrain valley through Marendabach to Kematen, with the main line continuing up the dtz valley to Solden. 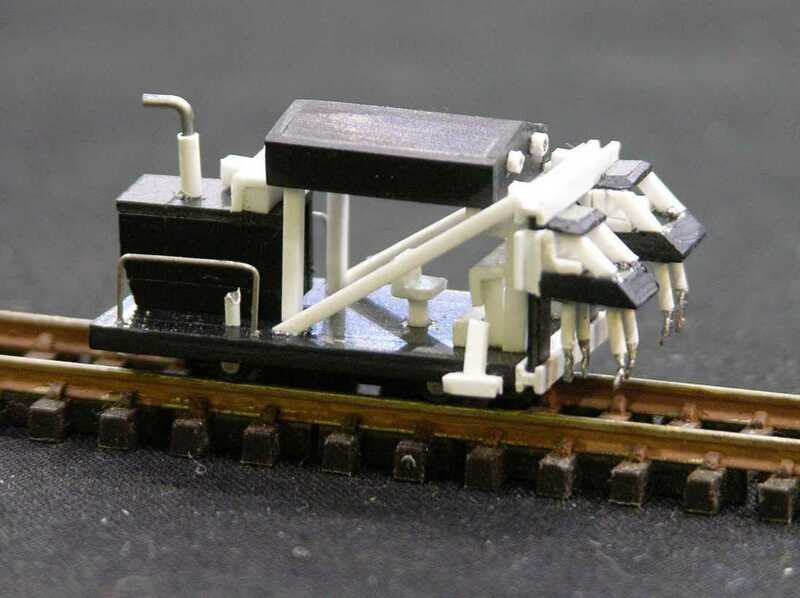 The model, therefore, is not of an actual location, but one which might well have existed and portrays the spirit of the Austrian narrow gauge systems. There is a fairly frequent passenger service, which includes steam hauled tourist trains in summer and plenty of freight traffic, much of which is conveyed in standard gauge wagons carried on transporter bogies. " 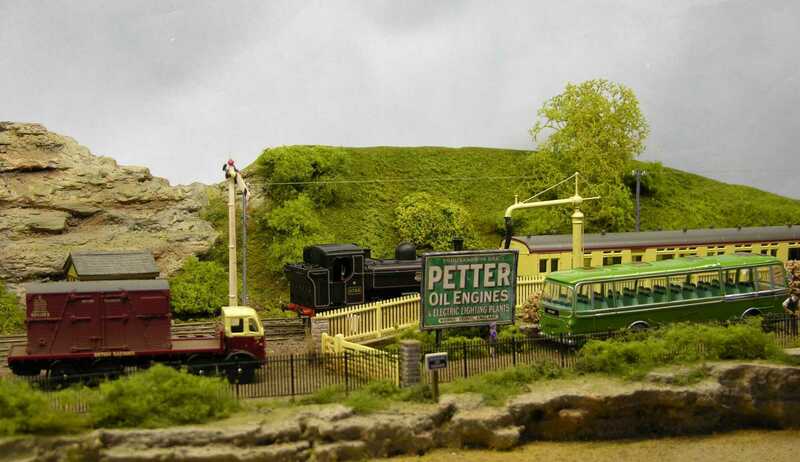 " This year Peter is working in S Scale on models based on the Clogher Valley Railway a narrow gauge railway in Northern Ireland that operated from 1887 until 1944. Meanwhile Andy May will be working on his Western Australian narrow gauge rolling stock. " (Left) Saint Judes Road by Brian Wakeling, Manea, Cambridge.
" Set in the Great Western Railway heyday of the late nineteen twenties and early thirties and Set in the period 1890 -1905(ish), it is a small quay by the River Lea where Mr Leakey has his Hydraulic Power supply company. This supplies the power for his adjacent Patent Telescopic bridge which carries the branch line to Waltham Abbey Powder Mills and Munitions Manufactory. "He also opened the Leakey Bunkering service which loads the lugger with coal for steam ships in the Thames. The coal wagons are hoisted (again using hydraulic power) and tipped to fill the lugger. Various warehouses abound, also a timber yard which receives and dispatches by rail and barge (still to be constructed). The paddle steamer wanders up and down the river Lea and has priority over the railway! The docks handle the normal trade of the surrounding district including the - yet to be opened - timber yard at the North end. 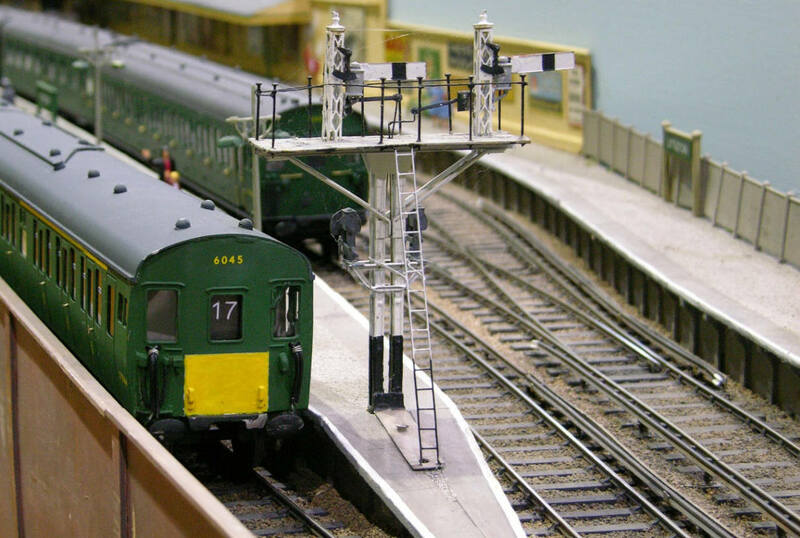 Materials: Plain track bought from the EM gauge society is used along with hand made point work. Eventually most track will be covered with stone sets. Some building are assembled from kits, with others being scratch built from old cereal packets and mount board. " (Right) West Newton by Mark Harris, Lymington.
" 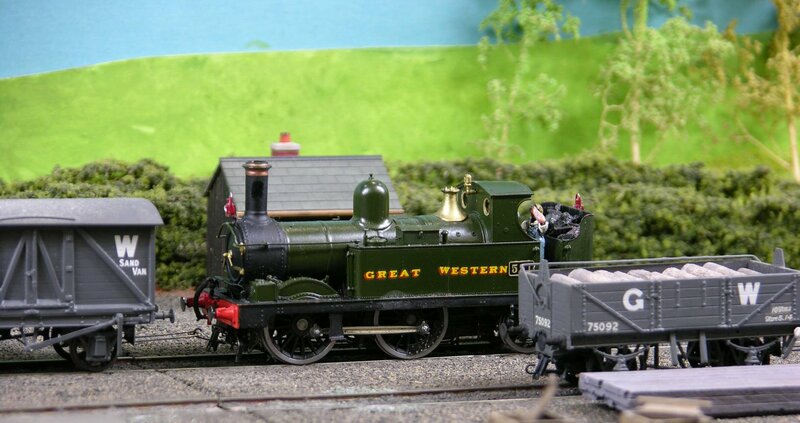 West Newton is based on the Bridport branch around the time of of Nationalisation and therefore both GWR and BR livered rolling stock can be seen. " (Left) Köln Viertag by Andrew Knights, Steyning, West Sussex.
" 1990s German loco depot/shunting puzzle. Inglenook type plan. Public operation encouraged Featured in February 2008 Continental Modeller. " (Right) Pradeux by Orpington & District MRS.
" Our Society has a thriving HO Group, which encompasses a wide range of interests in European railways and beyond. So although the layout before you is loosely based in the Northern Burgundy area, maybe around Dijon, the trains you will see running this weekend includes stock, which would not normally be found in this part of France. As to period, well anything from the 1950’s through to the present day. 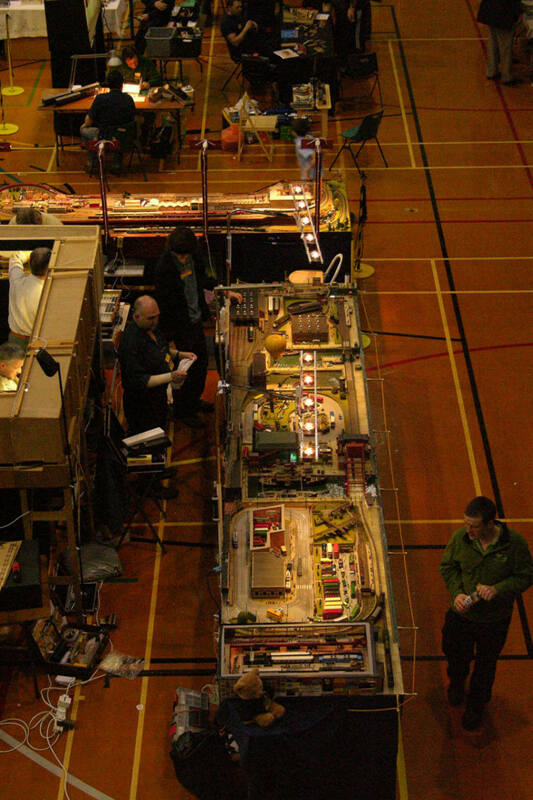 A major aim in constructing a large continuous layout is to be able to run near scale length trains, so although the station layout is prototypically quite simple, the 12-road fiddle yard is a veritable warren. Baseboards are constructed from plywood and trackwork is all Peco Code 75. Most of the buildings are from plastic kits, either built as intended or Gallicized, by MKD, Faller and Jouef. The area around the station gives ample opportunity to demonstrate another interest in our Group –road vehicles. Future plans include the installation of signalling –a combination of colour light and mechanical, and more ambitiously, the addition of overhead catenary on the main running lines. This will be modelled on the 1500v DC system. " " The group will be supporting our Hungarian visitors with a display of Hungarian models. They will be pleased to talk to visitors and enrol new members. " (Right) Smrzovka by Ian Lampkin & Dan Spalding, Redhill, Surrey.
" Concept: After visiting Prague over a long weekend in 2004 we found that Czech Railways (Ceske Drahy) are very interesting due to the large variety of trains and operation. Upon returning in 2005 we travelled by train to a number of places some distance from Prague. Upon alighting at Smrzovka in North East Czech Republic to travel up the branch to Josefuv Dul we found the station bar. Whilst waiting at Smrzovka drinking a half litre of dark beer we came to the conclusion that this station was ideal for modelling as an interim project to the main plan to model Prague’s terminus station, Praha Masarykovo. The layout: The layout is circular to allow continuous running but the fiddleyards are end roads thus most of the time the layout is run effectively as an end to end layout thus keeping operators down to a minimum as one operator can do the fiddleyards. All track is Tillig (available in the UK through International Models) with turnouts powered by Gaugemaster SEEP solenoids.We are currently assessing the possibility of installing DCC into the locomotives (along with sound).	" By John Molholland, Holbury, Southampton.
" 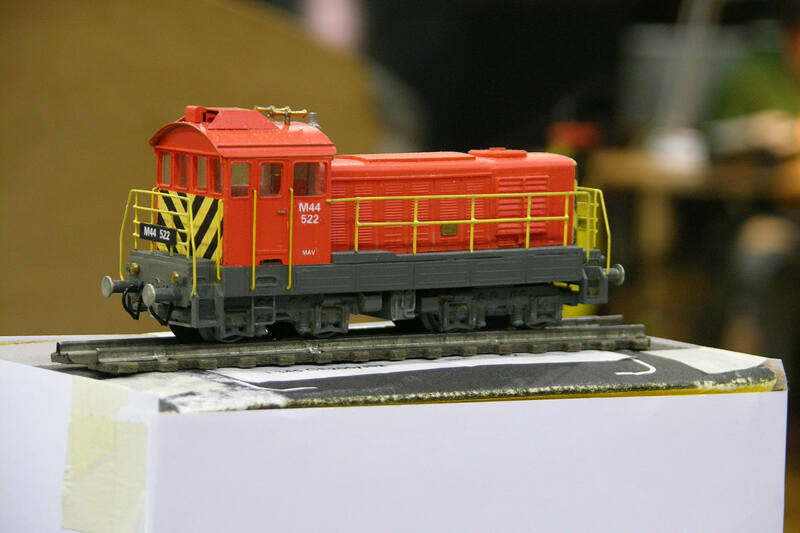 A selection of items scratchbuilt for my American N Scale layout. "